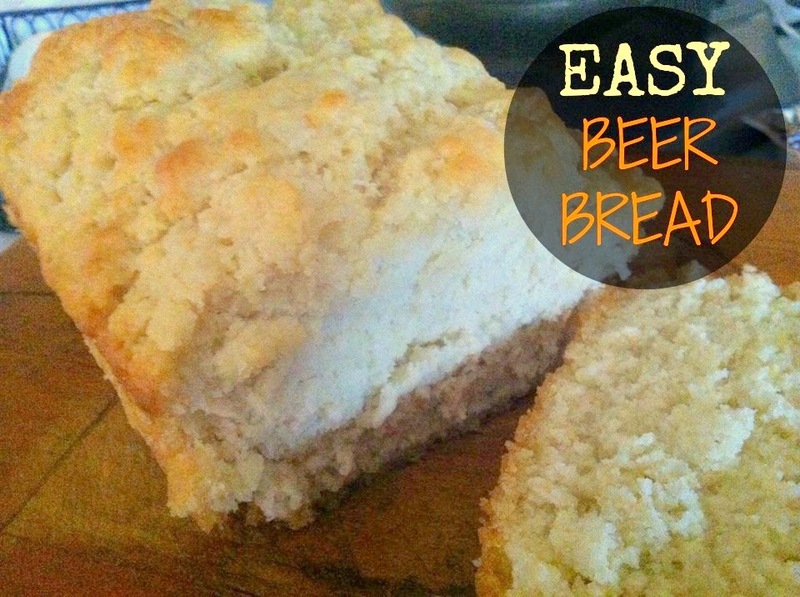 My daughter loves beer bread. She thinks it is so funny that it is made with beer. I guess to a five-year-old it would seem pretty crazy! 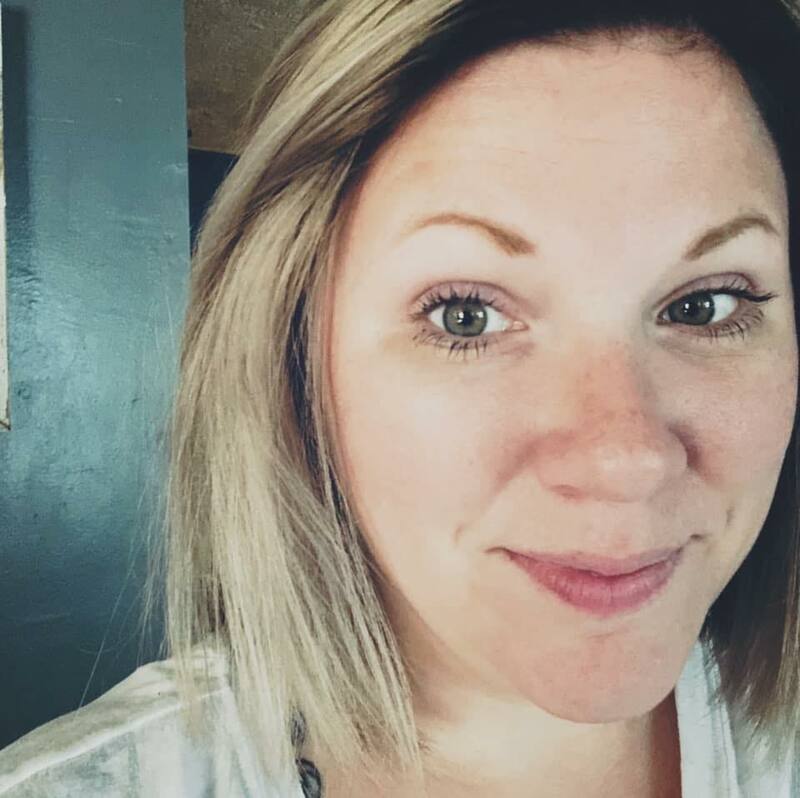 When she finishes a piece she always says, "see, I'm not even drunk!" She thinks all drinks of alcohol equates to a person becoming stumbling drunk. I'm glad she thinks that and I'm not going to make her think any different :) I mean, she is five! 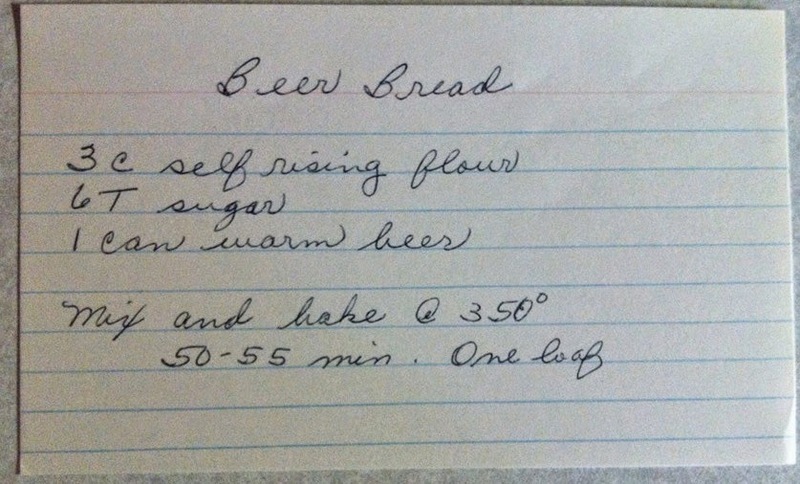 But anyways, I haven't ever made beer bread from "scratch" before. I knew it wasn't difficult and after finding my Grandma's recipe, I knew it couldn't be difficult. In fact, it ticked me off! Well, because I don't know how much money I've spent on a certain company's beer bread mix (Tastefully Simple)...and this tastes exactly like it! All it is is flour, sugar, baking soda, and salt that I've been adding a can of beer to? For the amount of cash I've shelled out for that mix, I could have made hundreds of beer bread loaves...literally. You will never have to buy that silly mix. Ever. Again. Well I didn't have any self-rising flour on hand, so that's why I added baking soda and salt...and of course I added butter! In a mixing bowl, combine flour (and rising agents if needed), sugar, and beer. Mix well, until flour is all moistened. Spread evenly in a greased loaf pan. Dot the top with some butter. Bake 50-55 minutes, or until top is golden brown. Immediately brush top with butter.